2. Joseph2 Cox (John1) was born on 1 November 1783, somewhere in Virginia, and died on 12 June 1848 at Rapids City, Rock Island County, Illinois. He married Mary Rue on 15 November 1804 in Henry County, Kentucky. 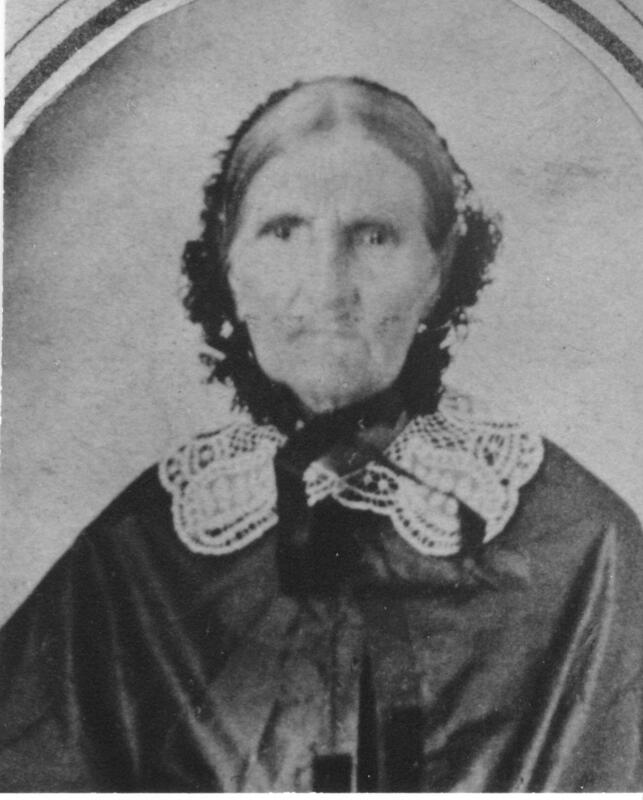 Mary was born 2 September 1785 in Kentucky, the eldest child of Richard Rue and Elizabeth Holman. She died 28 December 1858 at Rapids City, Rock Island County, Illinois. Joseph Cox, (our first settler) . . . , being the eldest had to superintend the little farm [of his father]. He embraced every leisure hour to increase his little stock of learning; often setting up late of winter nights to read and study by fire-light. New countries generally afforded but few facilities for education, and intellectual culture; and Kentucky was not an exception to the rule. But often the rough stone, by attrition, emits as bright a spark as the polished steel, and the dry scales of the shell bark hickory, and seasoned clap boards split fine has often afforded light to many a persevering student in his pursuit of knowledge. After he had acquired a sufficient stock of learning, he was solicited to teach a neighborhood school, which he did several quarters with success, giving general satisfaction to both pupils and employers. Other neighborhoods sought him as a school teacher; -- and it was while on a school teaching excursion at New Castle, Henry County, Kentucky, that he formed an acquaintance with Mary Rue; eldest daughter of Richard Rue, Esq., proprietor of the town of New Castle, an old Indian fighter, who had been in some thirteen campaigns against the Indians . . . .
After an acquaintance of some two years our young couple were married at New Castle, and in a few months after their marriage, they started in the company to explore the Whitewater country . . . .
After the war of 1812, in which our Pioneer served several 3 month tours, he studied law with James Noble, then one of the United States Senators from Indiana, but did not enter into the practice until about the year 1824; remaining on his farm below and adjoining Abington, and attending to his mill some mile and a half above that town, until the fall of 1824, when he removed to the Wabash country. He was engaged as one of the counsel in defence of Bridge and Sawyer, the Indian murderer at the falls of Fall Creek; but on account of the postponement of their trials until after he had settled his family on the Wabash, he relinquished the defense to his associate counsel, and was not present at their trial and conviction--although his eldest son, Richard Rue Cox--the first white child born in Wayne county, (now residing in Mercer county, Illinois,)--was engaged by Mr. Corey, the sheriff of Madison county, to remain and assist in guarding the prisoners at the Falls, until after their trial and execution. His first settlement in Western Indiana, was in the vicinity of Crawfordsville, the County Seat of Montgomery county, in October, 1824. Having suffered severely in his pecuniary affairs prior to leaving Wayne county, he entered actively into the practice of the law, when the Judicial Circuit extended from Terre Haute northward to the Lakes. Attorneys, who were few and far between, were often sent for to go forty or fifty miles through the wilderness country, to prosecute or defend, one or more persons charged with stealing hogs, bee hives, or other crimes and misdemeanors. After continuing in the practice a few years, he relinquished a profession for which he never felt any very great partiality, and applied his attention exclusively to his farm on the Wea Plain, which was situated on a part of the site of the celebrated Indian town, called Ouatanon in history. In the year 1836 he sold his Wea farm, and moved to Rock Island County, Illinois, where he settled on the east bank of the Mississippi river, about three miles below the head of the upper rapids, and thirteen miles above Stevenson (now Rock Island City) the County seat of said county. Here he built another mill and commenced opening a small farm. His children, ten in number, (all of whom were living a few months ago,) settled around him in Rock Island and adjoining counties, except one son who remained behind on the Wabash. Soon after his settlement on the Mississippi, the frequent altercations, and suits, growing out of the contested land claims in which himself and some of his sons were involved, again drew him into the practice of the law, in which he continued at intervals until the day of his death.